Aura Voyages is the most affordable brand for quality honeymoon packages. 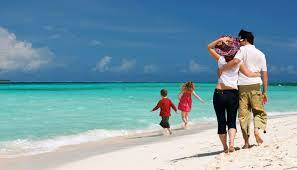 Avail Indian destinations for your honeymoon and enjoy the leisure for the most important event of your life. Customizing the experiences can add that thrill to your honeymoon. Plan different themes, activities and accommodation for honeymooning in Indian destinations. From Shimla to Kerala to Mussoourie to Sri Lanka to Nepal to Bhutan and more. The places we have explored inch by inch and amalgamated rich itineraries for the new couples to get lost in the scenic beauty and bliss.Focused on quality honeymoon packages for the experimental and adventurous travellers they can enjoy snorkeling, diving, boating, hilly treks, para-gliding and much more. Aura voyages the pure Indian hospitality brand for your honeymoon travel.Aura Voyages: Welcome to the Indian Region.